Nicole was living in a share house when she met Wes, her house mate’s best friend. Wes and Nicole met on Valentine’s day, the very day Nicole moved into her new house…. It was on our annual family holiday to Ballina and Wes took me out to dinner. Afterwards we took a walk on the beach at sun set. We walked out onto the rock wall watching the sun go down with waves splashing on our feet, then Wes proposed. I said yes of course. It was a perfect moment for us. 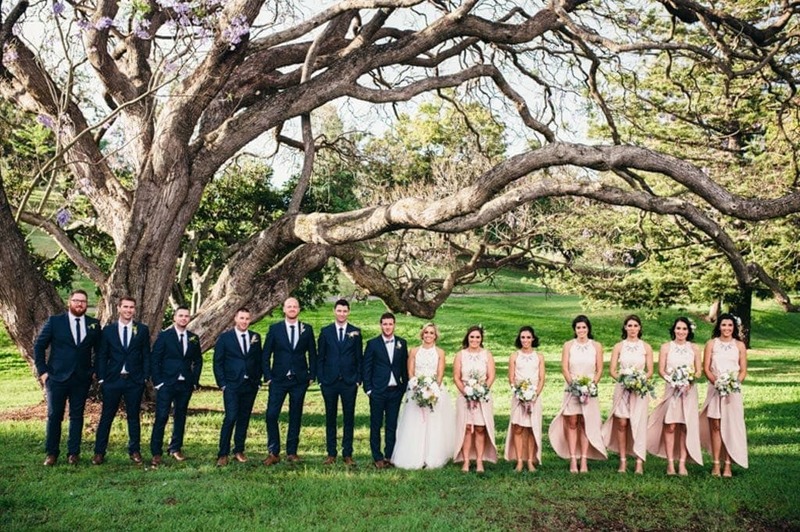 What was the location of you ceremony and reception? 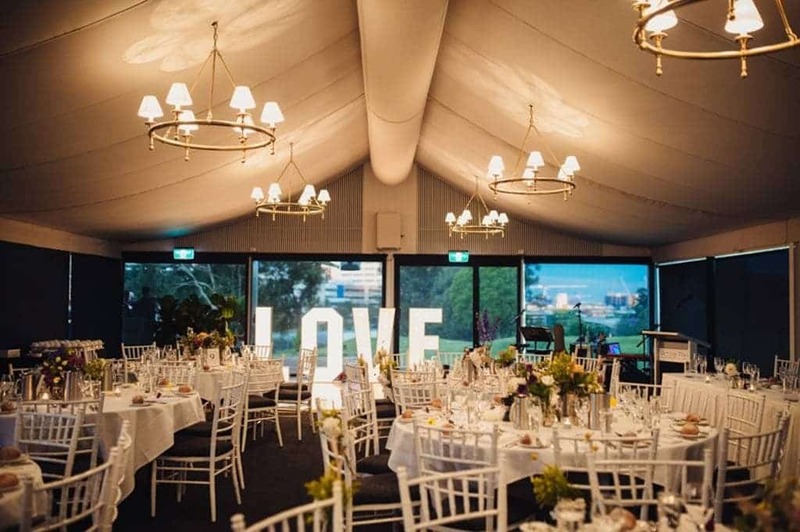 The Victoria Park Garden Marquee for both ceremony and reception. What (besides the obvious ‘I do’ was your favourite part of your wedding? Spending our day with all of our closest friends and family. I highly recommend the extra money for the golf carts too! Was so much fun with our bridal party. The staff and location cannot be faulted. Our event planner was so helpful all the time. She really listened to all of our requests and went over and above to make it happen. You need this from a venue. The grounds are beautiful and would be very hard NOT to get amazing photos, and at night time our marquee was stunning!